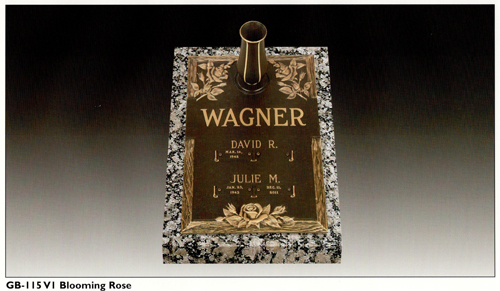 Bronze grave markers are not only chosen for their classically elegant appearance, but also for the fact that they are easily customizable due to the various design options available. 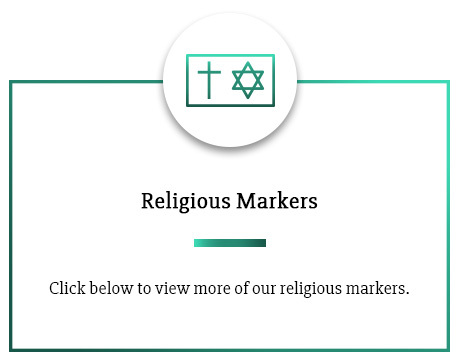 There are a wide array of emblems and motifs, such as religious symbols, floral designs, ornate borders and many more. 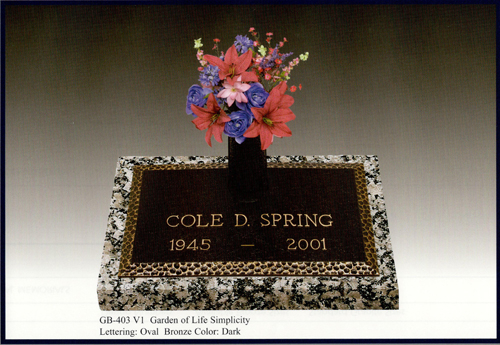 Looking for a custom design for your bronze memorial? 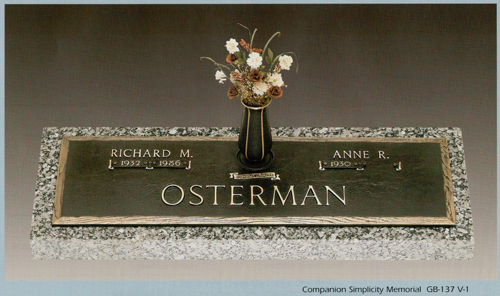 Tegeler specializes in custom designs for memorials. 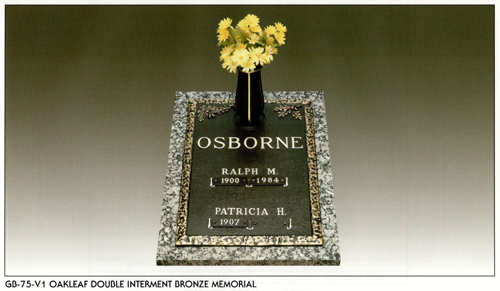 Contact us and we will be glad to assist you in designing your custom bronze marker. 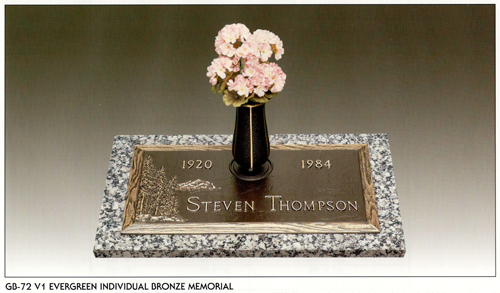 Will the bronze memorial I purchase retain its beauty and luster for years to come? 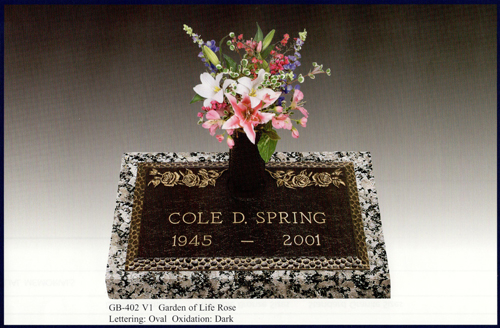 Due to the advances in technology, bronze memorials are coated with a protective sealant so that they are better able to withstand the elements. 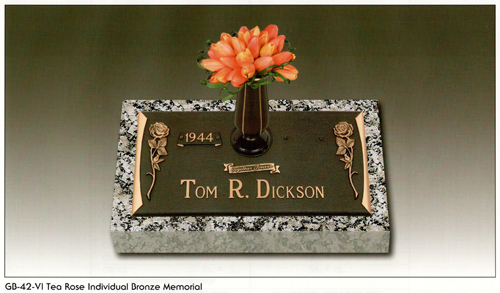 This protects from corrosion and keeps the bronze looking sparkling for years to come. Does the granite that goes with the bronze grave marker cost extra? 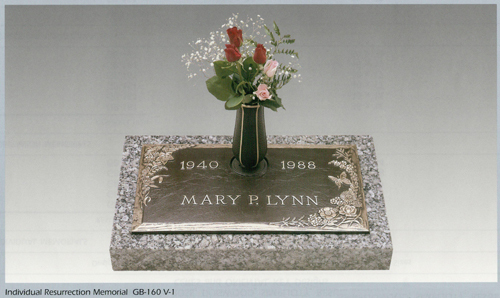 The price for our granite and bronze grave markers include a basic 4 inch thick granite base affixed to bronze plaques, which typically consists of kershawn or georgia gray granite. 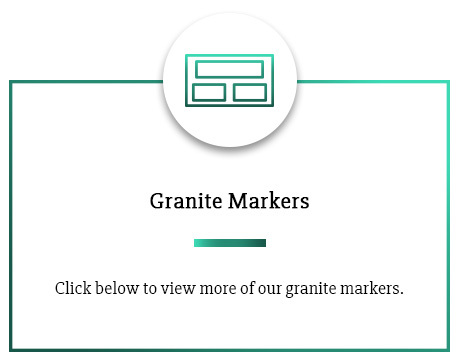 Imported granite, larger sizes, custom bases and specialty granite (such as India Red, Royal Emerald or Dakota Mahogany) will incur an additional fee. Do I have the option of utilizing a custom emblem or motif? Absolutely. 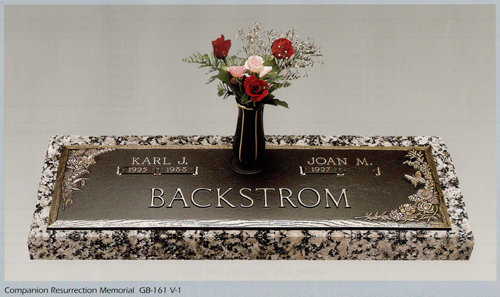 If there is a stock emblem or motif that is not to your liking, share your idea with us and we will make it happen. 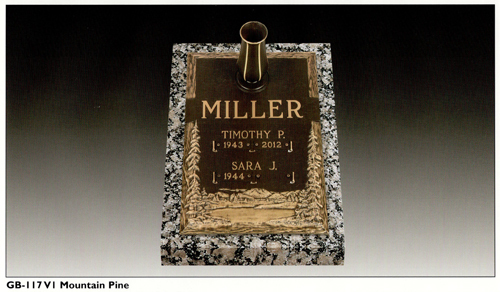 Customize your loved one’s bronze grave markers with pictures, personalized emblems and unique motifs. 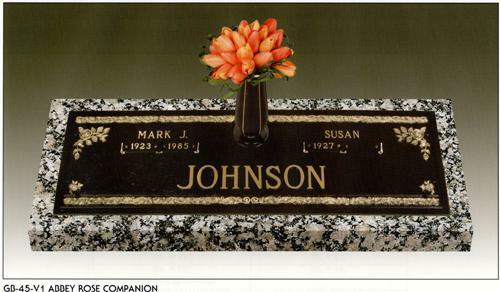 We can etch a surprising array of designs and even laser engrave a photograph of your loved one directly onto the marker. 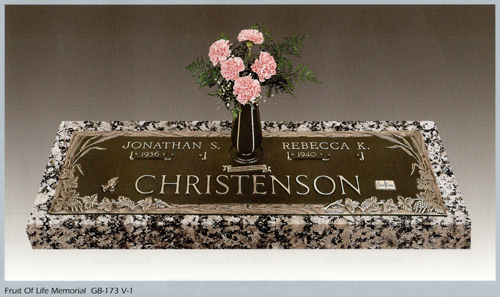 Is there an additional charge to add a vase, custom emblem or additional wording? Yes. 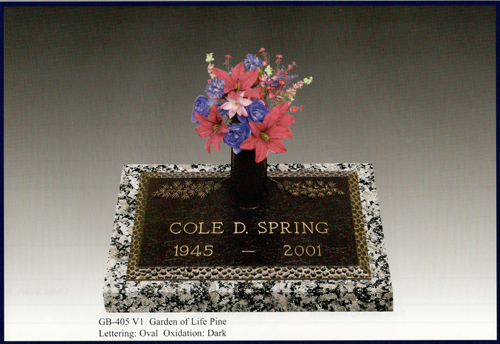 To add a vase, a custom emblem or additional wording that exceeds the number of words already included in the cost will incur an additional fee. 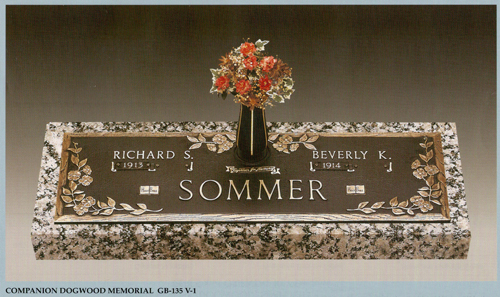 What is the typical timeframe for the completion of a bronze memorial? 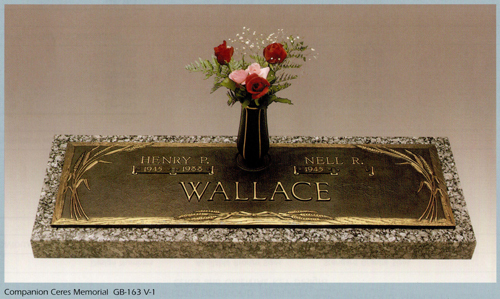 Bronze grave markers usually take anywhere from 10-12 weeks. 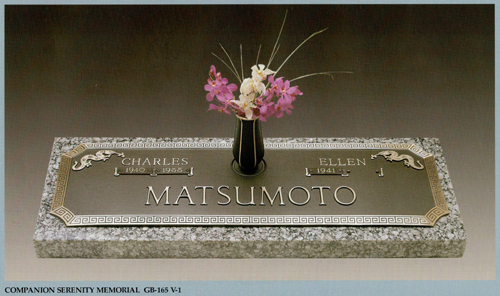 Custom designs and bronzes with imported granite bases may take an additional amount of time. 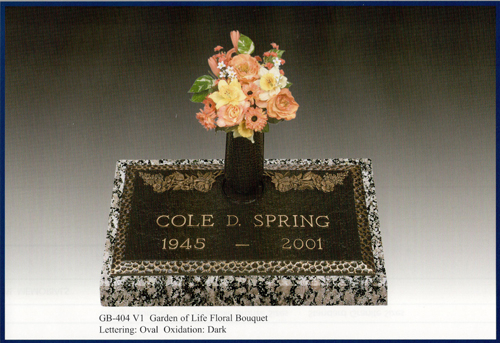 Please be sure to make your representative aware of a service or ideal completion date. 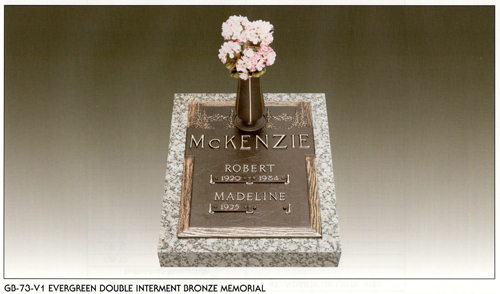 Are you ready to create a stunning bronze marker to memorialize your loved one forever?